Freeman Gas delivers much of its propane to residential customers in mountainous regions of the Southeast. Roads are steep. Driveways are tight. Maneuverability is a must. To overcome these geographical challenges, the company runs bobtails that allow for a tight turning radius – a crucial feature, says Larry Shehan, veteran fleet manager for the large third-generation marketer, based in Spartanburg, S.C.
“In some areas, we drive down to the location and turn around to make the delivery,” says Shehan, who oversees a fleet of 75 bobtails. Most of Freeman Gas’ deliveries over the past 10 years have come on a Freightliner diesel chassis. While the company runs most of its fleet on diesel, it has converted vehicles to run on propane in the past and currently operates six GMC bobtails on a liquid propane injection system with the help of alternative fuel equipment manufacturer CleanFuel USA. Shehan has even converted his company vehicle, a Toyota pickup, to run on propane. With better propane conversion technology and newer vehicles, those start-up problems don’t exist as much today, Shehan says. The propane vehicles are comparable in power to gasoline and diesel, cheaper to fuel and cleaner for the environment. Having such a history with autogas technology, Freeman Gas was interested to hear about a popular autogas project set for launch early next year: the first factory-built propane-fueled bobtail, built by Freightliner Custom Chassis Corp. The manufacturer says its S2G propane chassis will retain many of the same cab features, such as the turning radius that Shehan likes, of its diesel-powered models. Freeman Gas toured Freightliner’s plant in Gaffney, S.C., a 20-mile drive from Spartanburg, viewed a prototype truck and offered suggestions for the vehicle. While the propane marketer hasn’t committed to buying any trucks just yet, it will have another option to consider when it begins planning for changes in its fleet next spring. The conversation began at the Propane Education & Research Council (PERC), originating in the former engine fuels advisory committee, and came to fruition in 2010 when the council approved $2 million to help certify a Freightliner chassis and a propane-fueled 8-liter General Motors engine for use in propane bobtails and school buses. It was a big step in a $15 million engine fuels project – $5 million from PERC – that included the planned development of an off-road terminal truck and an engine for the agricultural market. The idea of a propane-fueled bobtail hitting the roads for customer destinations has been gaining the industry’s immediate attention. According to LP Gas’ Propane 101 handbook from 2007, the industry operates more than 35,000 bobtails, which are fueled mainly by diesel. But a partnership between PERC, Freightliner, Powertrain Integration and CleanFuel USA has made the industry’s first propane commercial chassis built by an OEM truck manufacturer a reality. PERC is calling the 8-liter LPG engine chassis from Freightliner its top priority in autogas because it can enter multiple large markets and provide propane marketers with a propane-fueled bobtail. The project was borne out of the need to replace the General Motors 8.1-liter engine for the medium-duty truck market. The 8.1-liter gave propane a place in school transportation with Blue Bird, but it was phased out of production in 2009. 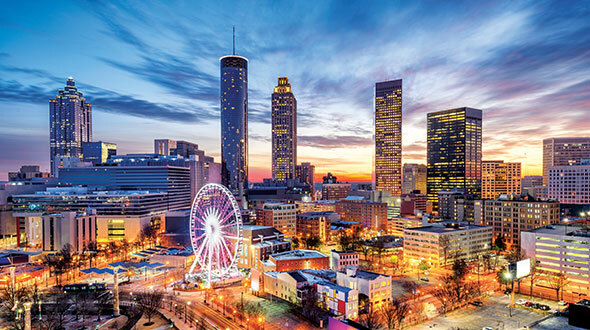 “We were intent on finding an engine that would replace, upgrade and fulfill the need in school transportation and other markets,” says Michael Taylor, director of autogas business development for PERC and a former fleet director for Heritage Propane. The Ford 6.8-liter engine filled that void with Blue Bird, but in the middle of that search came another opportunity with the General Motors 8-liter engine, which will also power Type C school buses from Thomas Built. The Freightliner S2G propane commercial chassis is scheduled for full production at the company’s Gaffney, S.C., factory early next year and certified for the U.S. and Canadian markets. A limited amount of pre-production units will hit the road late this year for monitoring purposes, project officials say. Propane marketers will be able to place orders late this year through their Freightliner and commercial truck dealers, and some bobtail body manufacturers, according to project officials. Freightliner says demand for the propane-fueled bobtail is high, based on the response at industry shows earlier this year. According to project information from PERC, annual sales volume estimates for the school bus and bobtail markets are 1,000 units each, with annual, high-side estimates at 1,500 units for each platform. The sales price for the propane bobtail was not disclosed, though it is expected to be more than the diesel vehicle. In older vehicle technology starting in the 1970s, fuel was introduced into the engine as a vapor, while current technology features electronic fuel injection, with propane entering the manifold as a liquid, Taylor says. The latest technology allows propane engines to maintain the same horsepower and torque as its fueling counterparts, making the vehicles more dependable, he adds. The S2G engine features 325 horsepower. The engine assembly and fuel system in the Freightliner chassis will fit in applications up to a 33,000-pound gross vehicle weight rating, and Taylor says a 3,000-gallon propane barrel will fit comfortably for a bobtail. 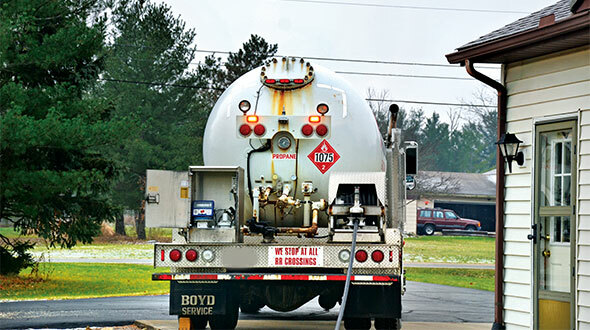 A 60-gallon propane fuel tank is located on the passenger side of the truck, extending past the cab. According to project information from PERC, the combined applications (bobtails and school buses) could consume 5.5 million gallons of propane per year at conservative estimates (2.5 million from the school buses) and 15 million gallons at extreme, high-side estimates. Taylor cites several key selling points for the propane marketer utilizing the chassis as a bobtail: the cost to operate will be substantially less than a diesel-powered vehicle; warranty and maintenance issues will be minimal compared to the diesel engine; and costly requirements like anti-idling and regeneration on new diesel emissions technology will be avoided. 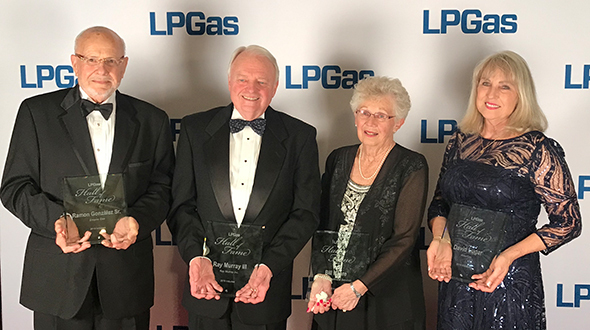 While the selling points of the LPG chassis appear aplenty, perhaps the biggest obstacle is the perception by some who still question propane’s reliability as an engine fuel.